Home / event / home credit / News / Home Credit PH served over 3 million customers. 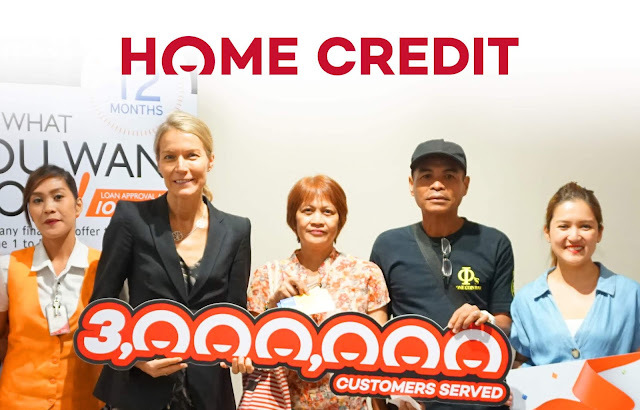 Home Credit PH served over 3 million customers. Annica Witschard and Chief Marketing and Product Officer Franchette Cardona were personally there to reveal the surprise and congratulate the “winning” customers who got 5,000php worth of GCs and the perk of having the rest of their loan waived. HCPH’s customer base now stands at three million. Besides in-store loans, the company also offers cash loans which, according to Annika, are used by some of the customers to start small businesses so they can make a better living for their families. Others use their cash loans to pay for other needs like school tuition's or finance house renovations.